We never tire of regular high school students put into unexpectedly precarious situations, right? Right? Well, I don’t know if I ever will. 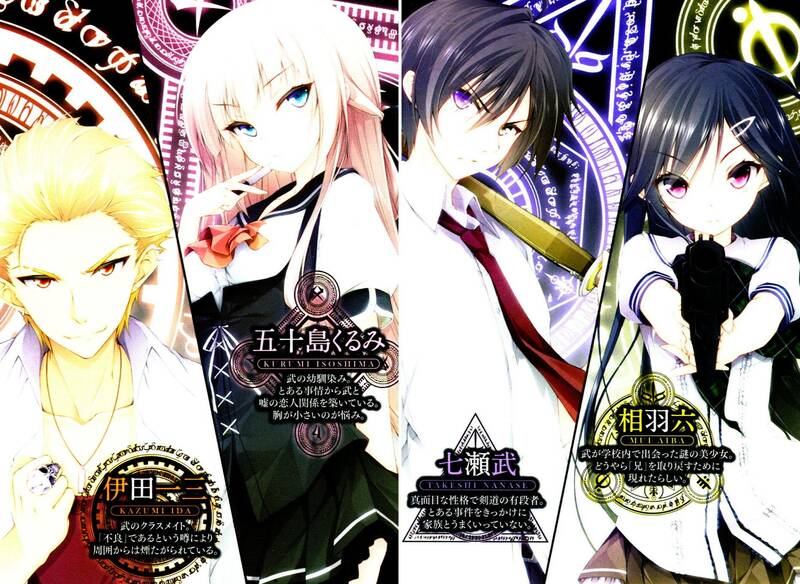 We have the light novel series known as Mahou Sensou, or “Magical Warfare,” which will receive a TV anime series somewhere in the near future. As the title suggests, magicians and warfare are most definitely involved in this modern action tale. Our hero, is a completely normal high schoolboy. He’s even dating his childhood friend! Well, not really. They’re only pretending due to extenuating circumstances. Of course, this all changes thanks to a chance encounter with a mysterious female magician. After this moment, his world is not quite the same. In fact, it’s revealed that there are actually two worlds: one for humans and one for magicians. Oh yeah, and the girl turns him into a magician too. Cool! I’m definitely looking forward to this series. Check out the 1st PV, which outlines the story and shows off the art from the light novels. Reblogged this on Just my guilty pleasure reblog..